this post for yee family fresh apple cake was originally published in oct 2015. here’s a refresh on the pictures + some new musings! are you ever stuck on auto-pilot, and once you stop and think about it for a second, you can’t back in the groove? that’s how i’ve been feeling about blogging recently. i didn’t post last week (it was the first time i missed posting weekly in a few years). there was a part of me that was so reluctant to start this post. it’s not the baking- it’s the very manual way i do social media (bc i don’t want to pay for schedulers and tools lol) and feeling burnt out about it given the 40ish hours a week i devote to digital marketing outside of this. i’d rather spend my limited time off hanging out or vegging out to things like this that give me nice feels. 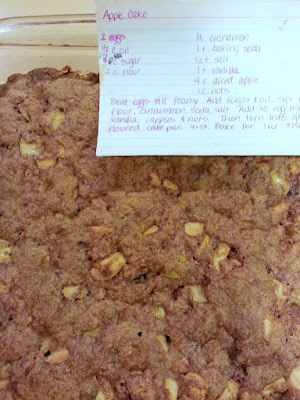 but again, baking and i are still bffs, so here’s some apple cake. 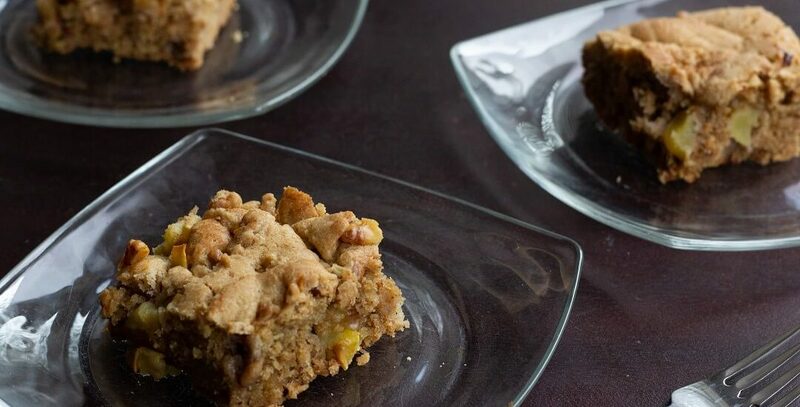 this, the yee family fresh apple cake (we tend to just call it apple cake), is a family favorite. when my mom asks for dessert, she doesn’t want anything new, and it’s going to be between this cake, blondies, brownies or joanne chang’s chocolate chip cookies. she thinks it’s great for dessert, though i’ve been known to eat it for breakfast. you can pass it off as healthy and hearty enough for breakfast; it looks wholesome, even though it’s kind of not, but who cares when it tastes so delicious? the yee family fresh apple cake has been to yosemite, where my extended family from my mom’s side went for a huge family trip 10+ years ago. this was the trip where a certain relative hogged the bathrooms to use his army of rice cookers, a number of aunties and uncles climbed half dome and tried not to die, and when we had a brunch at the ahwanee that was so expensive that my cousins went back to grab juice pouches and granola bars to try to make up for what they didn’t eat. that was probably this cake’s greatest adventure, but it’s been enjoyed at countless other potlucks and birthday parties. the cinnamon and vanilla give the cake a really dark hue (2018 me is like LOL it’s 1 tsp of each i don’t really think the cinnamon and vanilla give the cake its color, but i’ll let my 2015 self be ignorant) that’s broken up only by the crunchy nuts and the moist, cream-colored bits of apple. the nuts add a bit of a crunch, but they don’t detract from the apples. it’s well spiced, and i love how much apple is in here. don’t get me started on apple fritters that don’t actually have chunks of apple or that even taste remotely of the lovely fall (NOT spring or summer, unless you like mealy apples like my step grandma) fruit. back to the cake. moist. appley. sweet, but not too much so. cinnamony. fantastic. go bake it. 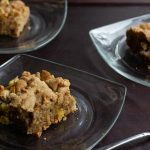 This apple cake is tender on the inside, with a really nice crunchy top and chunks of apple throughout. Beat the eggs until foamy. Add the oil and sugar; mix until well-combined. Add the dry ingredients; mix just until combined. Fold in the vanilla, apples and nuts until just combined. The batter will be pretty thick (to the point where it feels like dough rather than a cake batter). Turn into a greased and floured 9x13" pan. Bake at 375F for 1 hour, or until a toothpick inserted into the center of the cake comes out with moist crumbs and the top is crunchy. I totally feel you on the social media front, I find it hard to keep up with it all and I have a terrible habit of letting it lapse. Its hard work having to do everything yourself, especially when there is that new show to binge watch on Netflix 😉 this cake sure does look lovely! i’ve been “slacking” on social media – my younger self would have been appalled, but my life feels just the same (without the pressure to be on). ooh and i finally started watching “the office” (the us one), many years late. i’d much rather watch someone grill their foot and encase it in bubble wrap than schedule out fb posts for the rest of my waking hours. 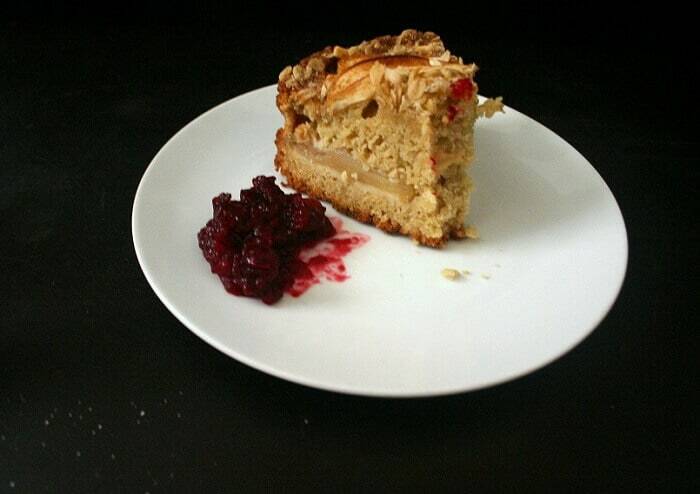 Heather – I love a good apple cake and this one looks and sounds magnificent! I especially love family favorite recipes, so this is on my list to make! I totally am with you about social media! I do love cooking and writing, though, so I focus mostly on those things. The rest of it? Hmmm. 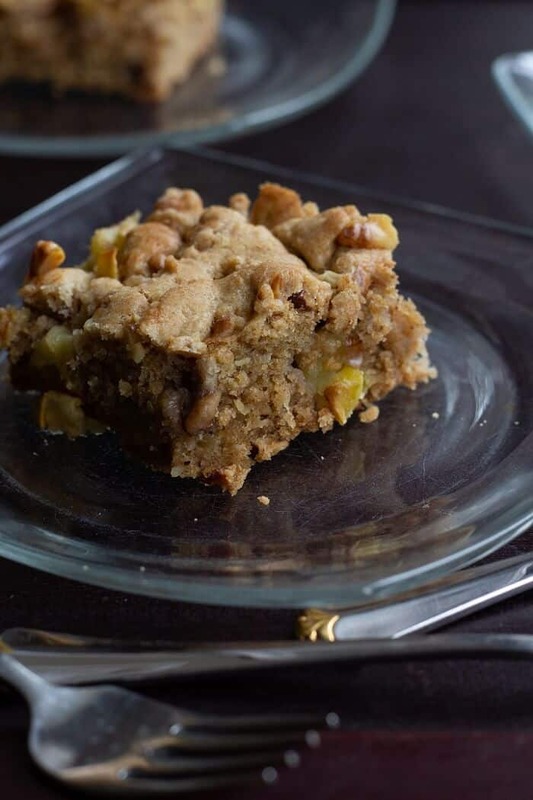 i tried another apple cake recently and i found myself missing this one (: it’s such a good mix of apples and cinnamon and tender cake. hahaha i’m relating to that “Hmmm” so hard right now. 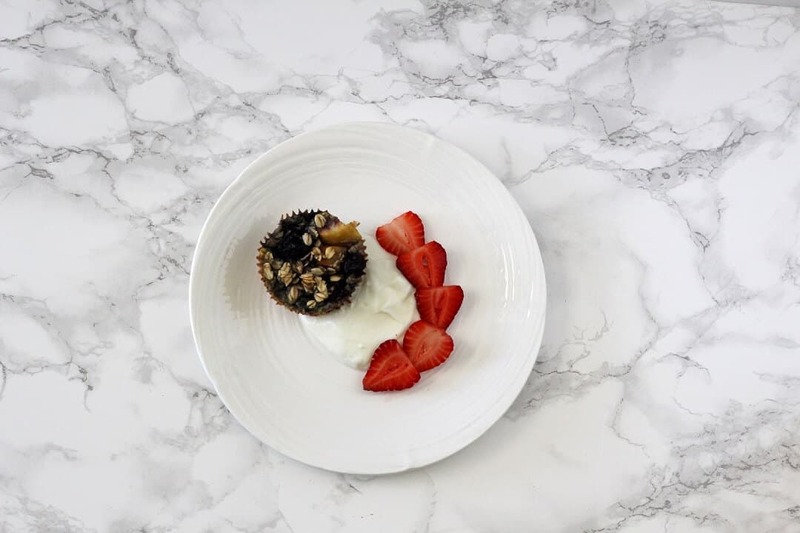 I so prefer simple cakes like this when compared frosting laden ones – Easy to make, one bowl, no heavy duty mixers needed and great with coffee or lunch box too. With all the apples right now, this cake sounds just perfect! oh yes, i can’t even imagine this one with frosting! and it’s not too sweet, which i appreciate too. I feel ya girl….I love blogging but the social media is demanding. And I work 40+ hours a week too. I feel bad for not responding to comments on my blog too. Ughhh. But this cake looks yummy and perfect for Fall!! yesssss to this. (hence why i’m finally getting around to answering comments, since my friend dragged me to a coffee shop). or i motivate myself via netflix shows/movies (which then turn into me devoting all my attention to the tv and ignoring my computer lol). Love this. Because I think this is a moist cake. Fabulous. Well, and flavorful! Simple cakes like this are so perfect sometimes. I’m enjoying apples in everything these days. I’ve gotta try it! if you have way too many apples (there’s an apple tree in my backyard that is so productive this year i don’t know what to with half of the apples), this is perfect! it knocks out so many, versus only 1-2.
it is! it’s the kind of cake that stays delicious and doesn’t dry out, even a few days after making it. I just made this and OMG so good. Just a perfect recipe, and so good for a freezing day stuck in the house. Thank you for posting!